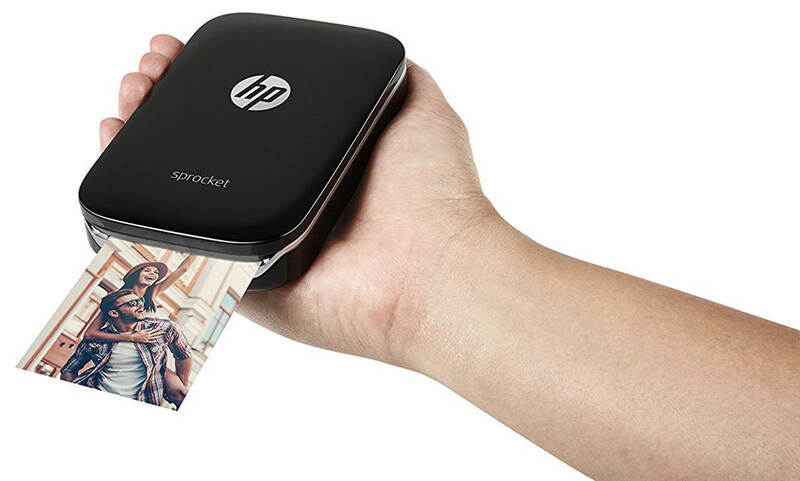 At just 3 x 4.5 inches, and weighing only 5.6 ounces, the HP Sprocket Portable Photo Printer fits in the palm of your hand and can be easily carried around in a handbag or pocket. The printer doesn’t need any ink cartridges as it prints on special chemical paper (instant film). It prints bright, glossy 2 x 3 inch images onto sticky-backed HP ZINK photo paper (cost is around $10 for 20 sheets). Connectivity is wireless via Bluetooth – you simply pair the devices (iPhone and printer) and you’re good to go. 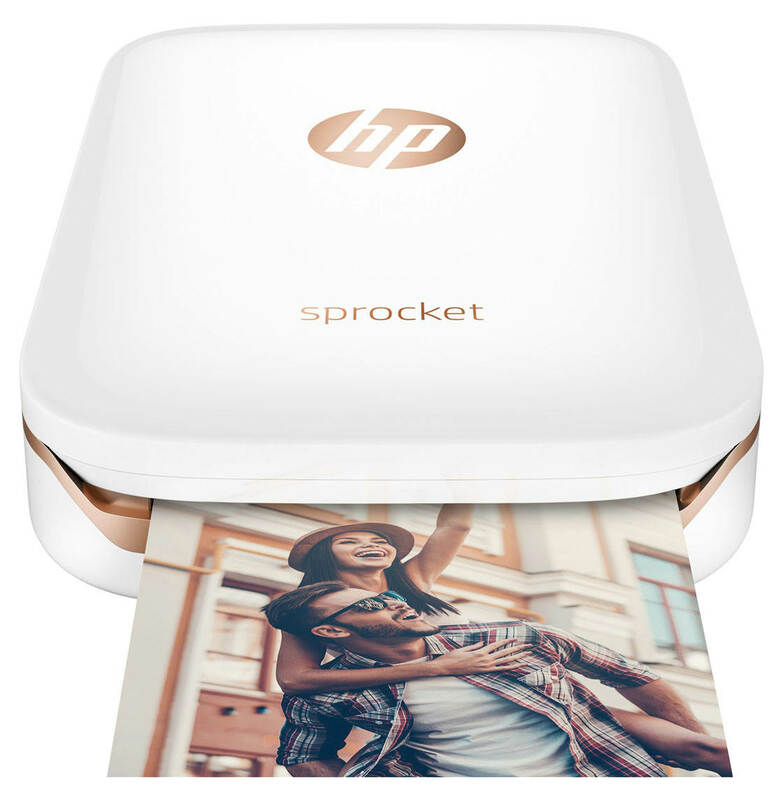 The HP Sprocket app allows you to easily print photos directly from your iPhone’s photo library or via your social media profiles. It also offers the ability to customize your photos with frames, emojis, text and stickers before printing. Print speed is about 40 seconds per print. The printer is supplied with a micro USB cable for recharging, and is available in either black or white. 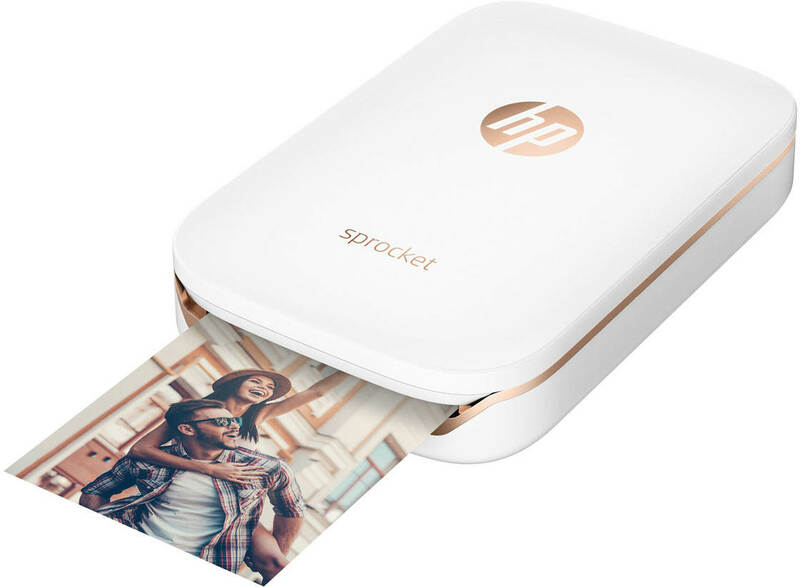 The HP Sprocket Portable Photo Printer can be purchased for around $125 on Amazon. 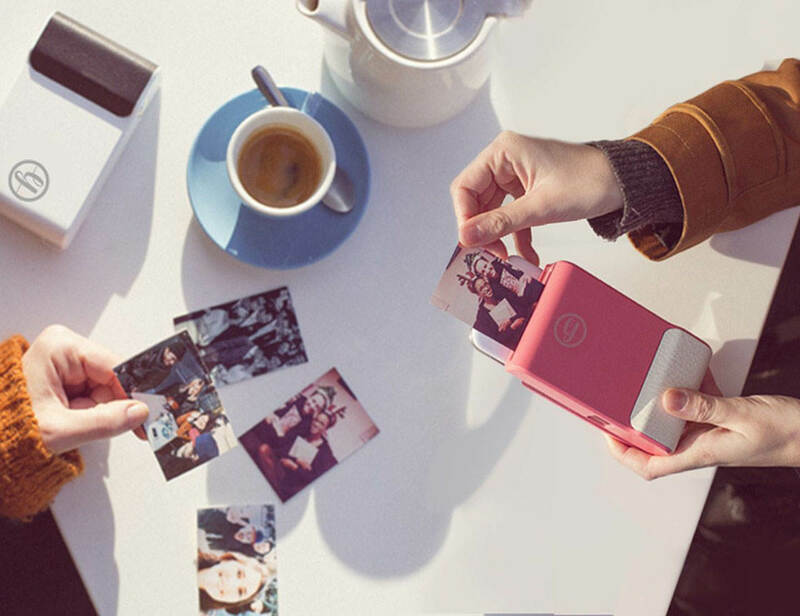 The Polaroid ZIP is another very compact and portable hand-held photo printer for iPhone. It weighs in at 6.6 ounces and measures only 2.9 x 4.7 inches. The printer connects to your iPhone via Bluetooth so that printing can be done wirelessly. The free Polaroid ZIP app also allows you to edit your images before printing.  This device prints 2 x 3 inch photos on smudge-proof, peel-back/sticky paper. Again, this printer doesn’t require any ink cartridges, but you’ll need to purchase Polaroid ZINK photo paper at a cost of about $10 for 20 sheets. 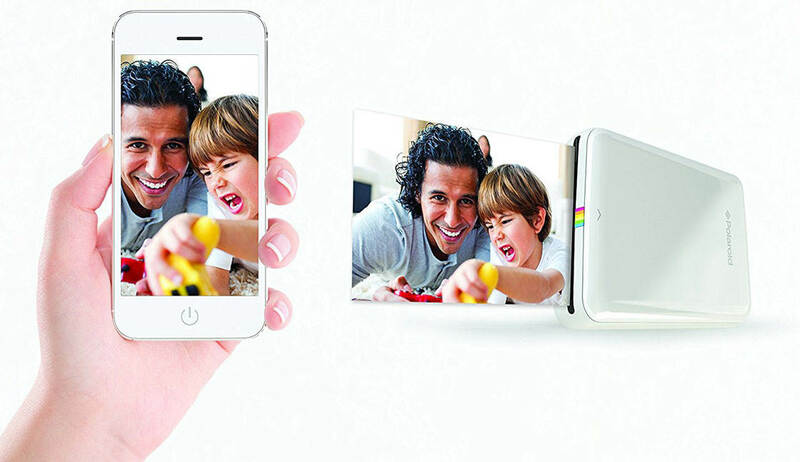 At around a minute to print one photo, this isn’t the quickest iPhone photo printer. It takes 1.5 hours to recharge the printer’s battery, and it will then print 25 sheets before needing another charge. You can purchase the Polaroid ZIP Mobile Printer for around $130 on Amazon. 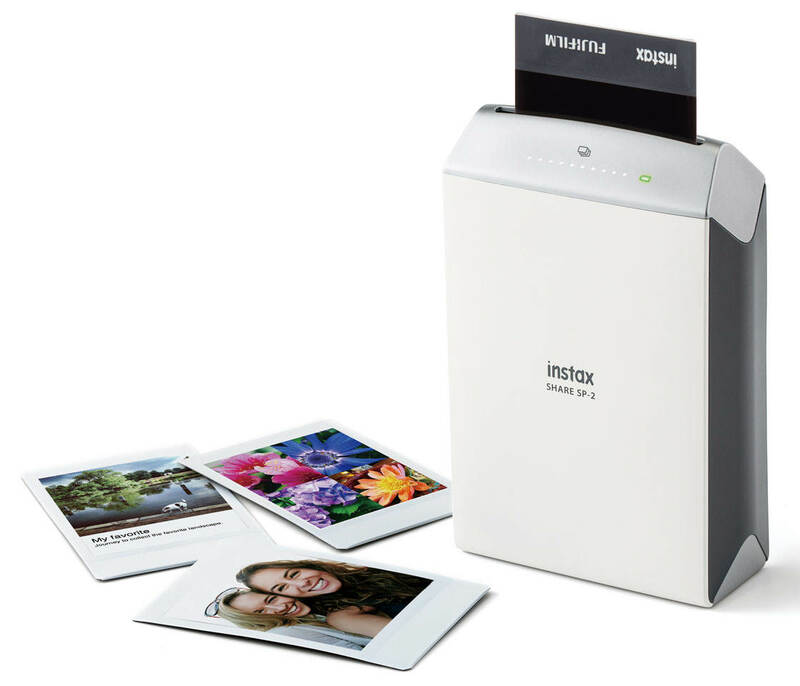 The Fujifilm Instax Share SP-2 is another stylish, compact and lightweight iPhone photo printer, although it’s a bit larger than the HP Sprocket and Polaroid ZIP. It weighs 8.6 ounces and measures 7.1 x 5 inches. 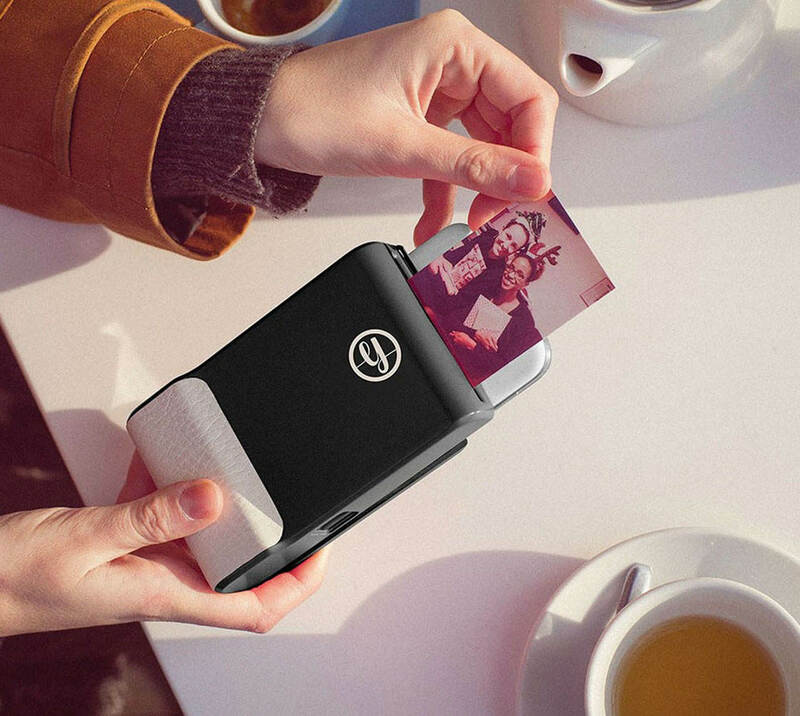 This is one of the fastest portable iPhone photo printers, printing one photo in just over 10 seconds. The printer is powered by a built-in rechargeable battery (which can be recharged using a micro-USB cable). 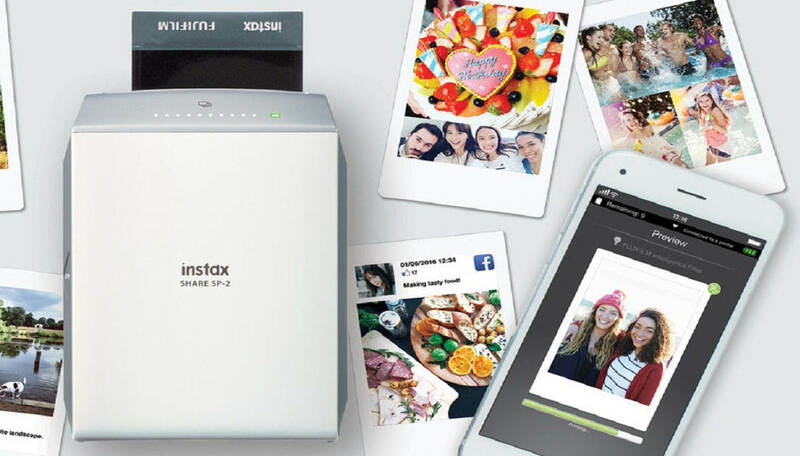 It connects to your iPhone via Wi-Fi, and you simply use the free Instax Share app to print your photos wirelessly. Just like the other two printers that we’ve looked at, it doesn’t require any ink cartridges. 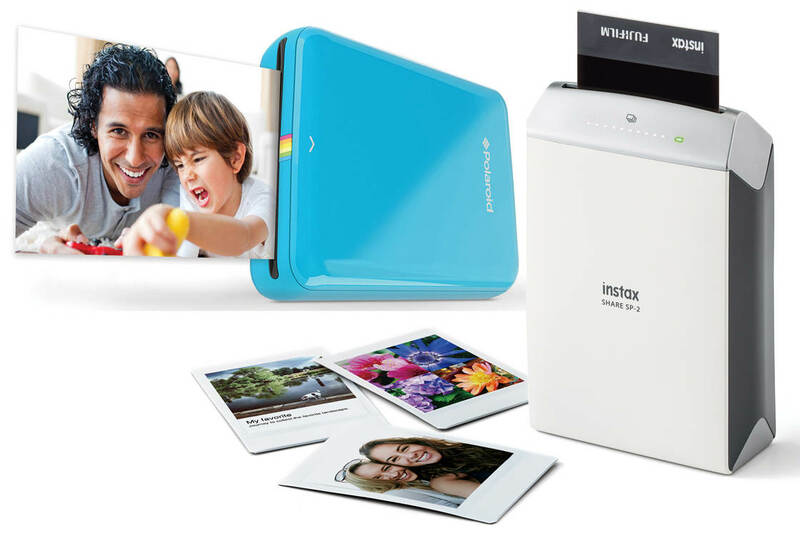 You just need to purchase Fujifilm Instax Instant Film which costs around $12.50 for a pack of 20 sheets. Unfortunately the only photo size is 2.47 x 1.75 inches, which is a bit small and not a standard size. However, if you’re looking for Polaroid-like results, this printer is certainly a viable contender. 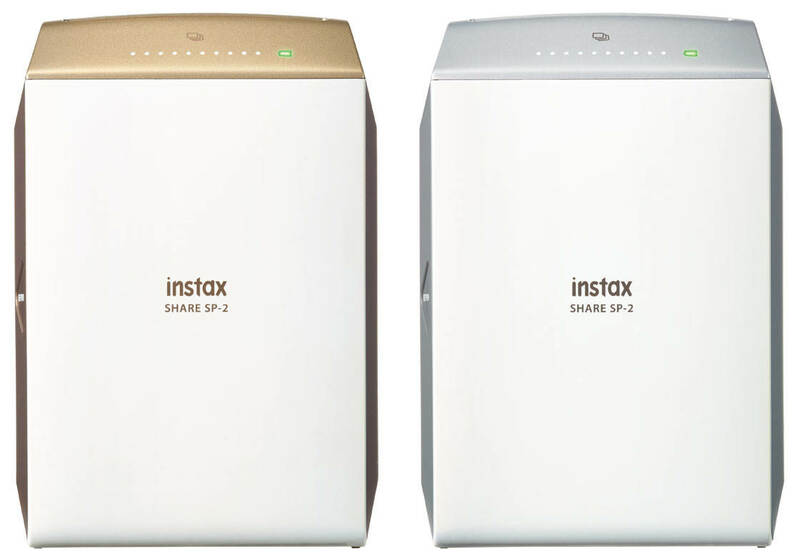 The Fujifilm Instax Share SP-2 printer is available in silver and gold color options. Prices on Amazon start at around $142. This price does make it one of the more expensive printers available, and it’s also not that cheap to run at around $0.62 per photo. 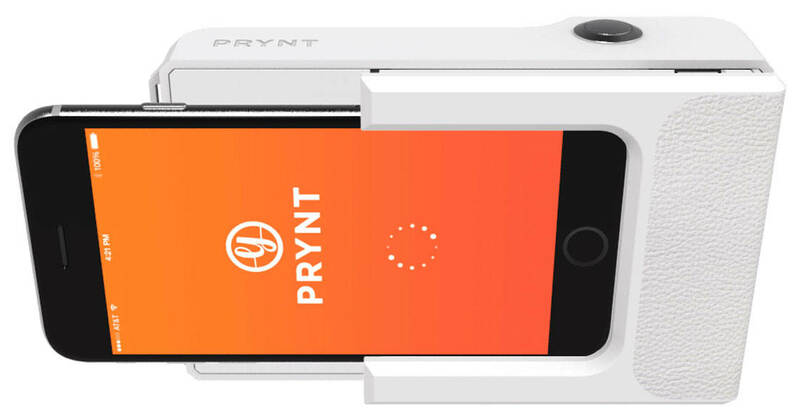 The Prynt Case iPhone Photo Printer is quite different from the other hand-held printers that we’ve looked at.  With this device, you slide your iPhone into the case, allowing you to connect your phone directly to the printer via the lightning connector. The Prynt app allows you to take photos (the case even has a physical shutter button) and then print them out straight away… a lot like a traditional Polaroid camera. Of course you can also print images from your iPhone’s photo library, as well as from your Facebook and Instagram profiles. It prints attractive 2 x 3 inch borderless photos, but owners have commented that the results can be a bit dark and printing is slow. 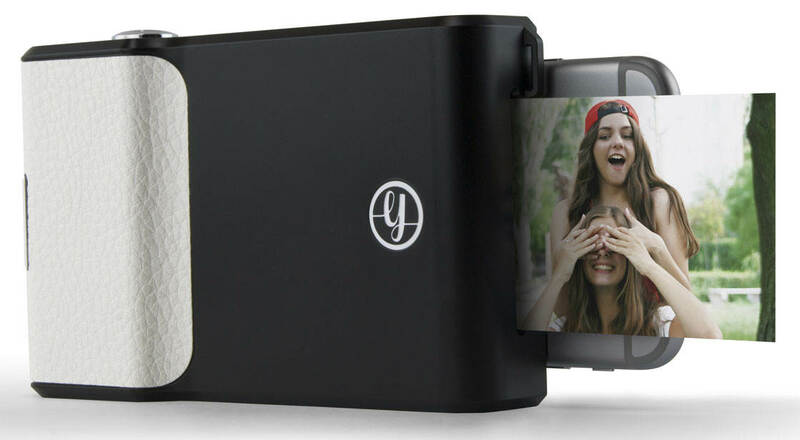 Like the other hand-held iPhone photo printers, the Prynt case doesn’t require ink cartridges. You’ll just need to purchase Prynt ZINK photo paper which costs around $20 for a 40-pack. A cool feature of the Prynt app is that photos you shoot will be saved with a short video of the few seconds around when you took the picture. When you print the image and then point your iPhone at the print, the Prynt app will unlock the hidden video clip, magically bringing your Prynt photo to life. When you hand your Prynt photo to a friend, they can use the Prynt app to view the hidden video clip too. This feature is a bit of a gimmick, but it’s a fun way to share more than just an instant. The Prynt Case can be purchased for around $150 on Amazon. Finally, let’s take a look at a larger photo printer that isn’t designed to be hand-held. 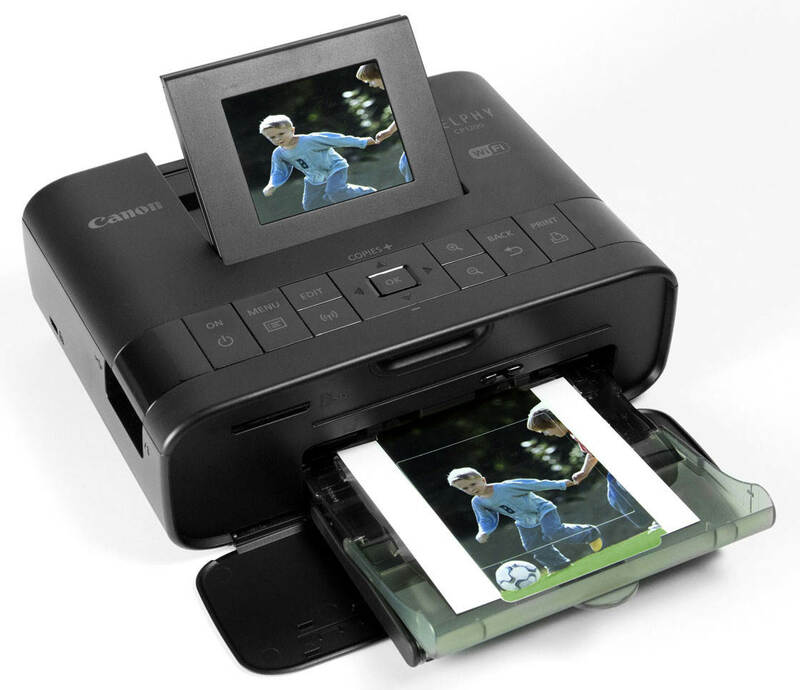 The Canon Selphy CP1200 Wireless Photo Printer weighs 1.9 pounds and measures 7.1 x 5.4 inches. For a desktop photo printer this is considered to be fairly compact, so it won’t take up too much room in your home. It needs to be powered by the mains adaptor, unless you purchase an optional battery pack. 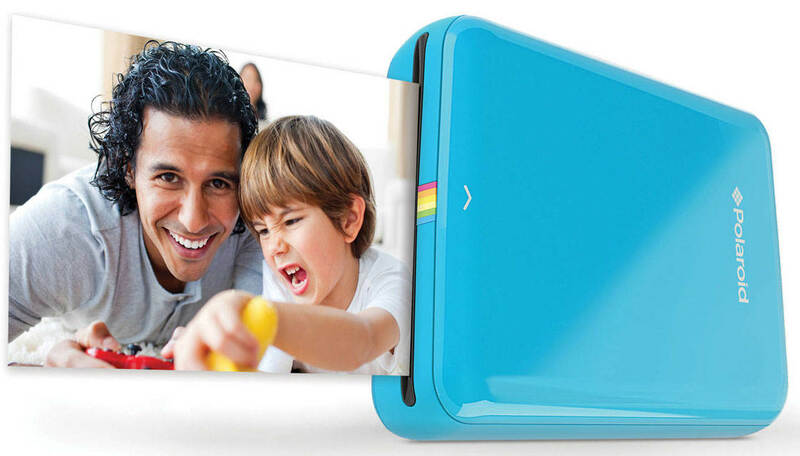 The Canon Selphy can print in a variety of paper sizes up to 4 x 6 inches. Due to its larger size, it also offers many more features including a host of control buttons, memory card slots, and even a flip-up screen for previewing your photo before printing. The printer is AirPrint enabled, which means that you can print wirelessly and effortlessly from your iPhone or other iOS device. Print quality and color rendering seem to be strong points in reviews of this printer, and cost per print tends to be lower than the smaller hand-held printers. The Canon Selphy CP1200 Wireless Photo Printer is available for around $96 on Amazon. Keep in mind that in addition to photo paper, this printer also uses ink cartridges. 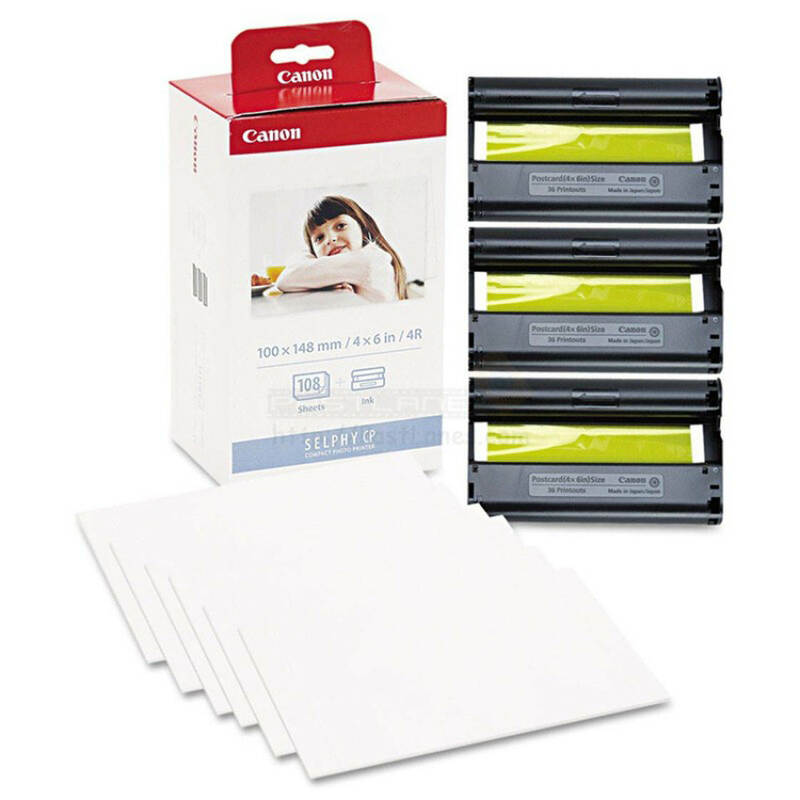 You can purchase a pack of Canon color ink plus 108 sheets of 4 x 6 inch paper for approximately $29.  The pack is designed so that there’s just enough ink for the paper included, however, some users report that the ink sometimes runs out before all of the paper has been used. When choosing which iPhone photo printer you want to buy, the main factor will probably be whether you need something portable so you can print on the go. The best portable solutions listed in this article are the HP Sprocket, Polaroid ZIP, and Prynt Case as they’re all battery powered and small enough to fit in your pocket. If you think you’ll do most of your printing in one location, then the slightly larger Fujifilm Instax or the much bigger Canon Selphy would be perfect. Of course, there are also many full-size desktop photo printers that will print up to A4 size or even larger.  If you’re planning to purchase a full-size printer, ensure it’s AirPrint enabled so that you can easily connect your iPhone to the printer for hassle-free wireless printing. Running costs (paper and/or ink) are also an important consideration. The Canon Selphy requires that you replace both ink cartridges and paper when you run out. All of the other printers in this article rely on chemical paper which does away with the need for inks. This kind of paper is more expensive than regular non-chemical paper, but it does allow for the printer to be smaller. Naturally it makes sense to buy your paper in the largest quantities you can afford so that you benefit from cheaper per-sheet costs. Finally, print quality is important as you want the best looking prints possible. 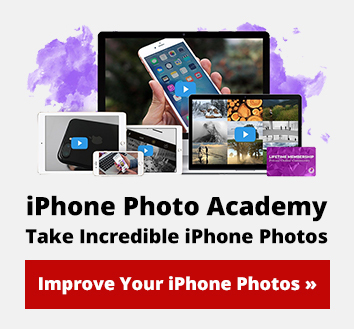 So before purchasing any iPhone photo printer, be sure to read a few reviews to get an idea of the kind of print quality that existing customers have experienced. While none of the printers here could be said to give truly professional results, they’re all great performers that should provide years of fun and printed memories.